THE time has come to introduce my granddaughter to mountains. This is a milestone that should be tackled delicately. Patience, encouragement and understanding are required. Expectations should be fulfilled, effort rewarded. 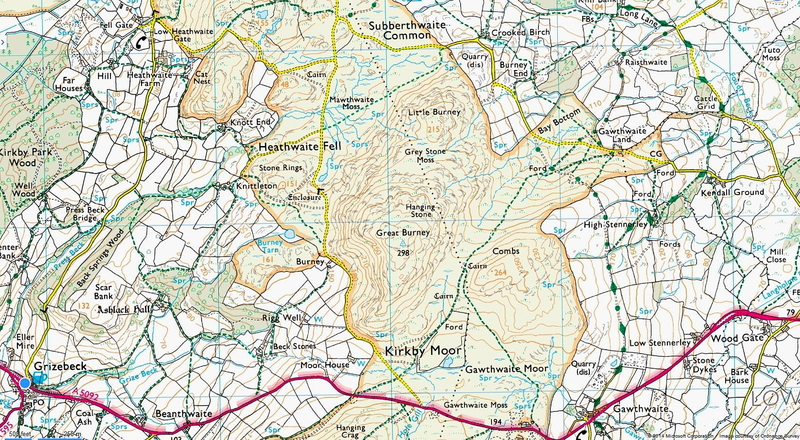 So off we go to the Lake District on Friday night in search of a suitable peak . . . 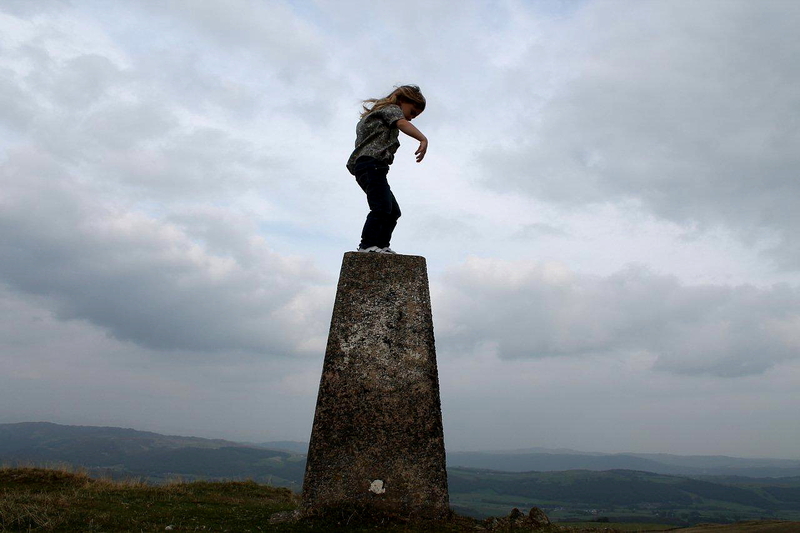 The plan is to kindle her interest with a visit to Swinside Stone Circle before climbing Black Combe. Neolithic or early Bronze Age standing stones can capture the imagination of people of all ages. 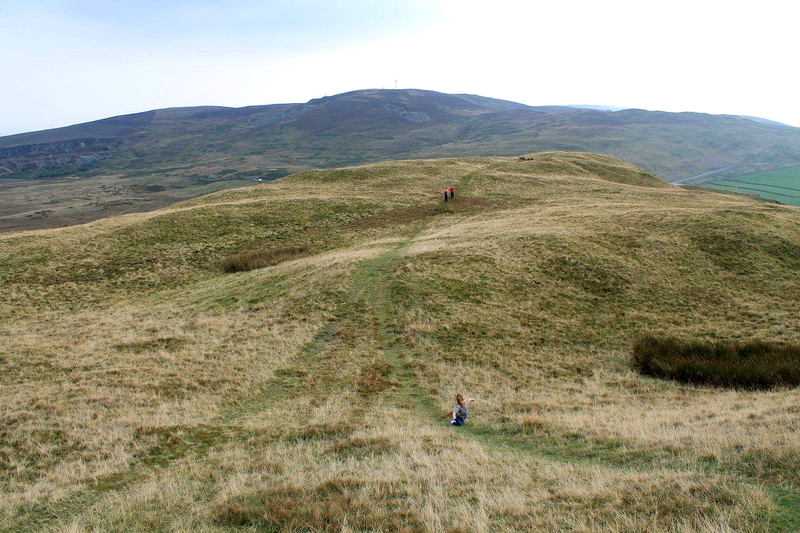 Black Combe might seem too ambitious for a four-year-old, but I’m expecting to include plenty of stops on the steep bits and carry her on my shoulders along the grassy ridge. 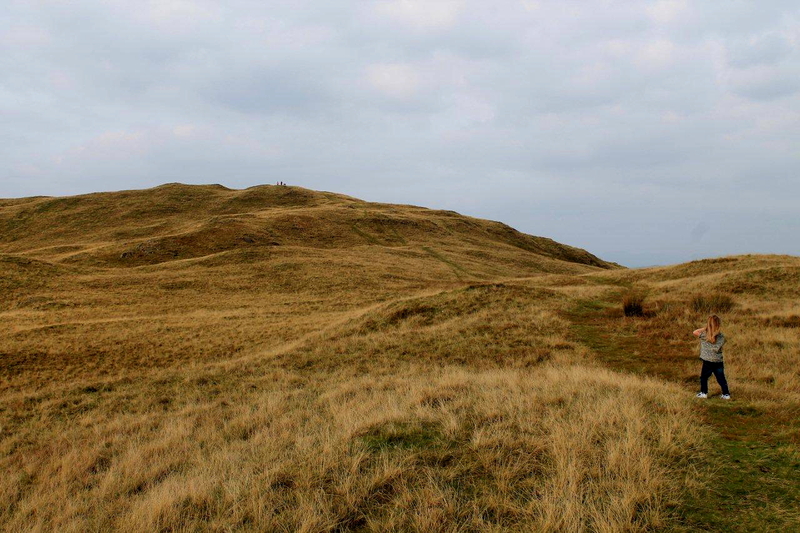 Swinside is more than standing stones – it also represents family continuity. When my grandfather was a boy he ran away from home, attended the Whitsuntide hiring fair in Ulverston, and was contracted into service at Swinside Farm. That was just before war enveloped Europe in 1914. When I was a boy he took me to see the standing stones and told me about his experiences at the nearby farm. It was a harsh life and he quit at the first opportunity. 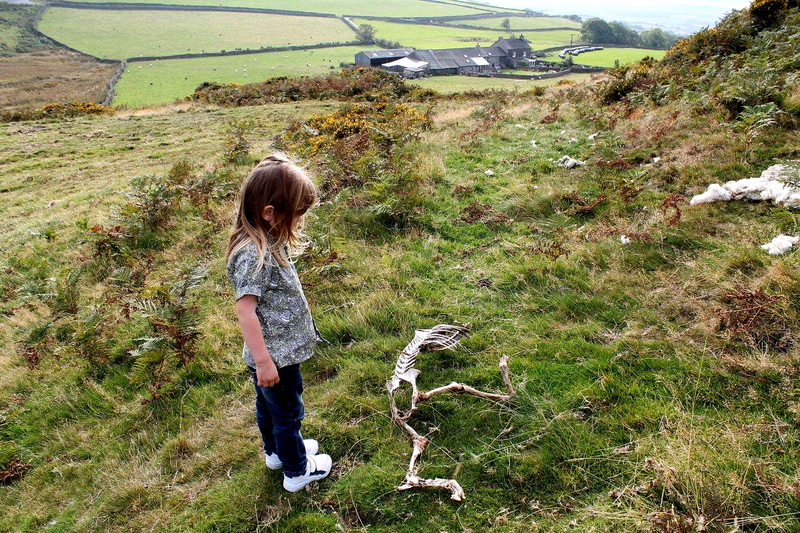 When my son was a boy we visited the stones and I told him what my grandfather had told me. I like to think the thread will continue into the future. We spend Friday night at my mother’s house. Saturday dawns warm and fair, but an unexpected crisis involving a set of garden steps and a visit to Furness General Hospital drives a coach and horses through my plans. 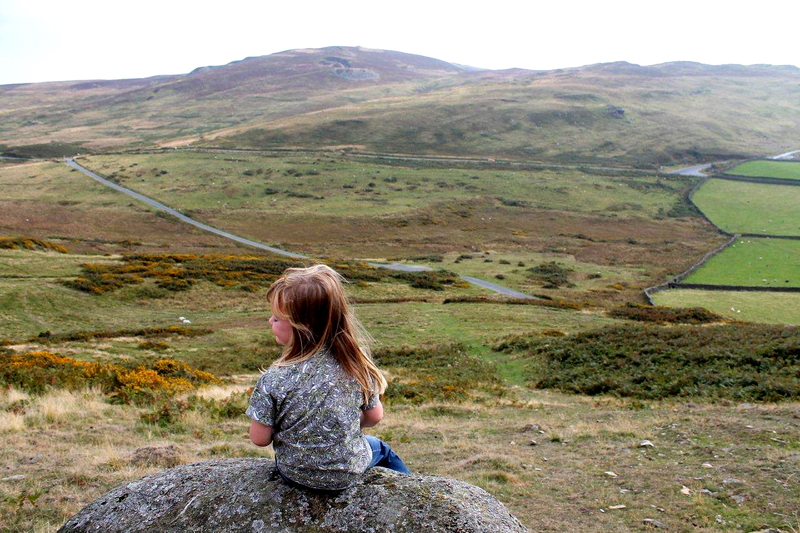 Crisis finally over, it’s 3.30pm and the granddaughter is impatient to climb her mountain. What do I do? Black Combe and Swinside are out, for today at least. She has little concept of time and the effort involved. I have no intention of dampening her enthusiasm, so we jump in the van and head to the top of Grizebeck Hill, and a lay-by on the A5092, for an impromptu ascent of Great Burney. Great Burney is a pleasantly pointed hill on the southern edge of the Lake District National Park. It’s mostly steep grassy slopes and a scattering of crumbly crags. With a height of 977ft (298m) it falls well below what is considered to be the magic height required to achieve mountain status, which is 2,000ft (609m). But to a four-year-old, anything higher than a chimney pot is a mountain, so that’s not a problem. Off we go. Interest is kindled with the immediate discovery of a dead sheep. In fact, it’s more than dead. It’s acquired skeleton status. The granddaughter is quick to point out that the sheep’s head is missing. No doubt the bones have been picked clean by foxes, I suggest, and they ran off with its head. This idea raises the fascination factor to a new level so I chuck in a couple of wolves for added zest. No harm done – just a few nervous glances into the undergrowth. A bit of fear engenders respect for the environment. Fifteen minutes later, after a couple of steep slopes and a few rocky outcrops, we sit in the warm afternoon wind on the summit of Great Burney. The Cumbrian fells stand dark and distant on the northern horizon. I point to Coniston Old Man and tell her its name. She points to another mountain and asks what it’s called. And another and another. I have to make up names of peaks that have slipped from memory. Grandfathers are allowed to do things like this. We retrace our steps to the feet of Great Burney. The granddaughter has completed the entire walk under her own steam. She’s had a fresh and exciting experience and seems happy and contented. I feel I have sown the seeds of something that might grow. That’s precious. Perhaps next time we’ll get to Swinside and wander among the stones before climbing Black Combe. And perhaps, in years to come, she’ll remember what I tell her, and what my grandfather told me, and the circle will revolve once more. 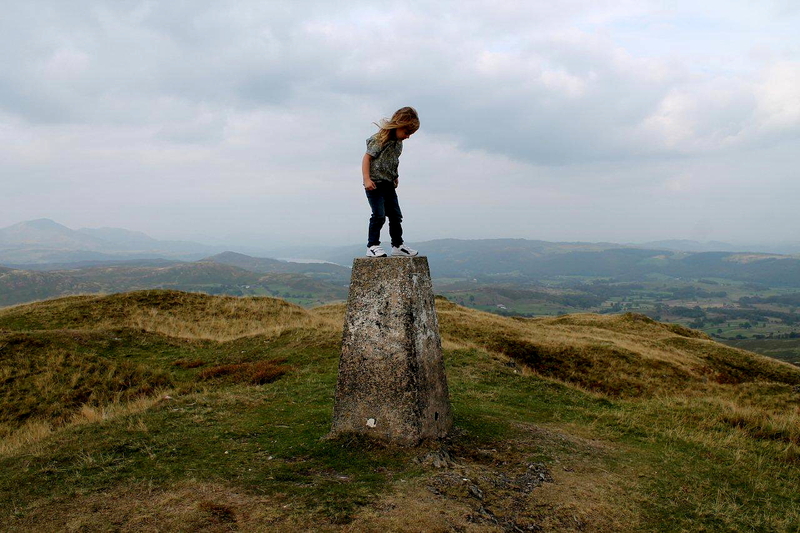 This entry was posted in Archaeology, Childhood, Climbing, Hiking, Mountains, Stone Circles, Walking and tagged Cumbria, Lake District, outdoors, The Lakes. Bookmark the permalink. I couldn’t have been much older than four when my parents started taking me and my sister on day trips to the Lakes. They took us to castles and stately homes too. My interest lives on to this day thanks to those trips, so I reckon your grand-daughter will have caught the bug and in twenty years time will be dragging you up Great Gable. Hey, that would be great. I took my son up Great Gable when he was about 11 and he thoroughly enjoyed it, although he hasn’t done much walking since then. So if she does drag me up there, expect another post on the subject in 2034 – if I’m still about. You’re running rings around me Danny. You remind me of climbing Rosebery Topping when I was three. We lived in walking distance from it, and I remember my father having to put down his handkerchief for me to do the last steps home, because I was on hands and knees by then and refusing to give up and be carried! funny memory. Yes, your grand daughter will remember this day better than all the following ones, I’m guessing. Hiya Liz. That’s a great memory and I wish I had one to rival it. I can see Roseberry Topping from the field behind my house, although it’s quite a few miles away. I climbed it once, on a birthday long ago and in a new set of boots, but I’m due a revisit, so perhaps I’ll take the granddaughter. It would make a perfect second summit for her. These moments of introducing a grandchild to something that runs in the blood are critically important, aren’t they? We get to an age where we’re in the middle of a cycle and see both directions. I took my granddaughter (age 6) to our local art museum recently, her first visit. She loved it (we saw art both indoors and outdoors, and I introduced her to my favorite pieces). But I wonder if I will ever get her to Mt. Rainier. Hi Jeanne. Yes, you’re right about the middle of the cycle thing – we can see both ways. That puts a different perspective on things. I think grandparents can, in some ways, be more influential over children than the child’s parents can. I learnt a great deal from my grandparents, possibly because they seemed to be more senior and therefore commanded more respect. And being older, and therefore more experienced, they have more to give. You should pencil in a date for Mt Rainier. Sounds like a great adventure for a grandchild. Lovely pictures of the new mountaineer, Alen. It’s always important to find interesting things in the landscape, and dead animals makes the trip even more exciting. Did you invent some exciting names for the landscape? I hope you found some appropriate tall tales for your grandchild, It is an obligation you have as a grandfather. Hej Hanna. Children love dead animals. She talked about the dead sheep all night and how it came to lose its head. I suspect it was a troll that did it, myself. I’ve just watched a Norwegian film call Troll Hunter and those things actually exist, and they eat sheep. It’s a dangerous world. We don’t know half of what’s really going on. How lovely, Alen! I hope this is the first of many climbs for her, with you and then on her own or with friends as she gets older. I remember my grandad taking me on bike rides around the villages where we lived and telling me all about them – we used to ride big old black bikes that must have been from the 1920s (or they looked like it!) – but I still remember those rides with affection. Hi Jo. It’s good to have memories like those. My granddad was foreman at the local brickworks and on Saturday mornings he used to take me round on his daily inspection. It was another world – fiery kilns, steaming boilers, massive fly-wheels, greasy belts. I can smell it all even now. Magic times. It would be nice, just occasionally, to turn the clock back. Or would that spoil everything? It was my parents who first dragged me, kicking and whining, into places that were too far, too hard, too steep, too hot and my boots hurt, and I grew up to pursue all the Wainwrights and compile glorious memories that I can see any time I shut my eyes. Your little lass has got a headstart on me and I hope for her delight that she goes correspondingly further. Hi Martin. 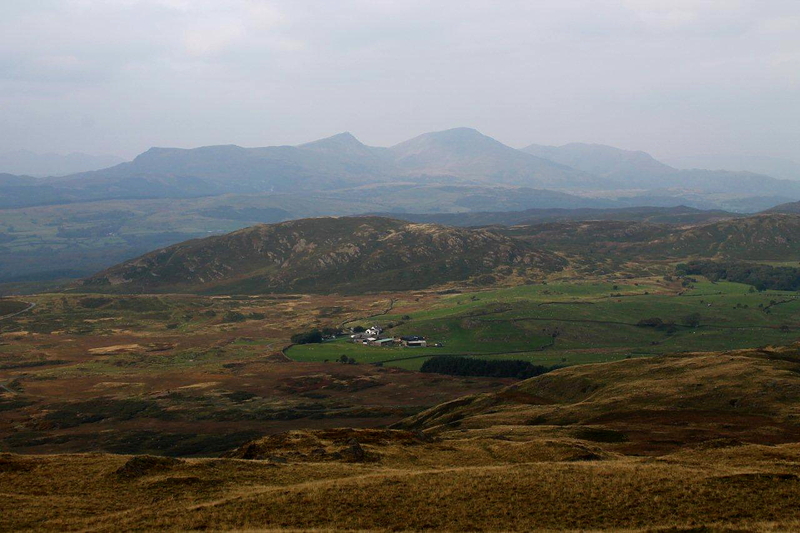 Your introduction to fell walking sounds very much like my own. My parents dragged me up the Walna Scar track from Seathwaite one bleak Sunday afternoon and I hated every minute of it. So did they. It was several years later, and quite independently, I developed my affection for the hills. That’s why I’ve been so careful not to put a foot wrong with my granddaughter. Time will tell. She’s certainly got a headstart and I’m hoping that’s a good thing. I have to say our parents didn’t give us any encouragement or patience – we just got dragged around the mountains. Possibly explained why I stopped doing them in my late teens/early 20s and didn’t restart until my 30s. It might though as people of the age groups I’ve listed above are notoriously lazy and very pre-occupied with socialising instead of going outdoors! 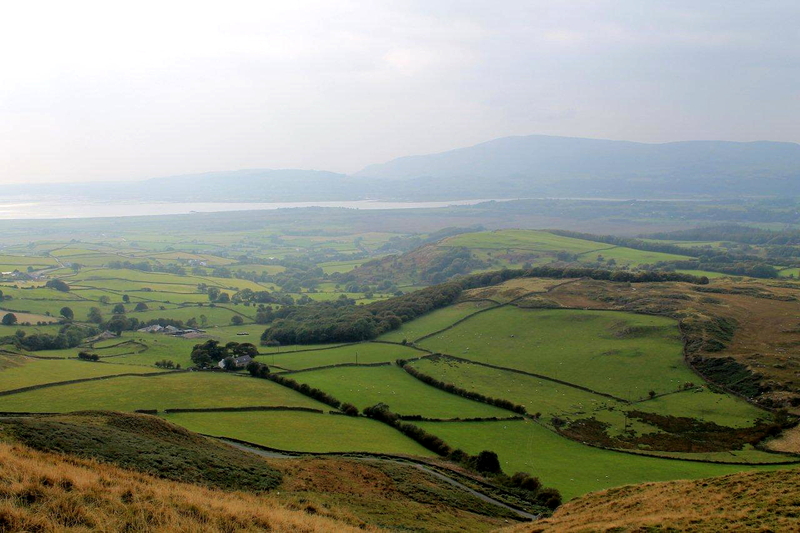 Lovely photos of a lovely fell – I’m really missing the Lakes, especially the Broughton-in-Furness area! Hi Carol. That’s exactly what I didn’t want to do with my granddaughter because it would have put her off. Parents can perhaps be too overbearing at times, whereas grandparents have more time on their hands and, more importantly, more quality time. I was the other way around. I started climbing mountains in my late teens. I was still pretty lazy though. That’s very true the difference between parents and grandparents. Magical. An absolutely magical moment in both your lives, Alen. Beautifully written. Let’s hope you’re still writing when she’s old enough to read this. It will bring back her memories in an instant. You’ve spurred me to think about taking my own grandchildren out for a walk, with plenty of tall tales, of course. Hiya Alan. Thanks for that. 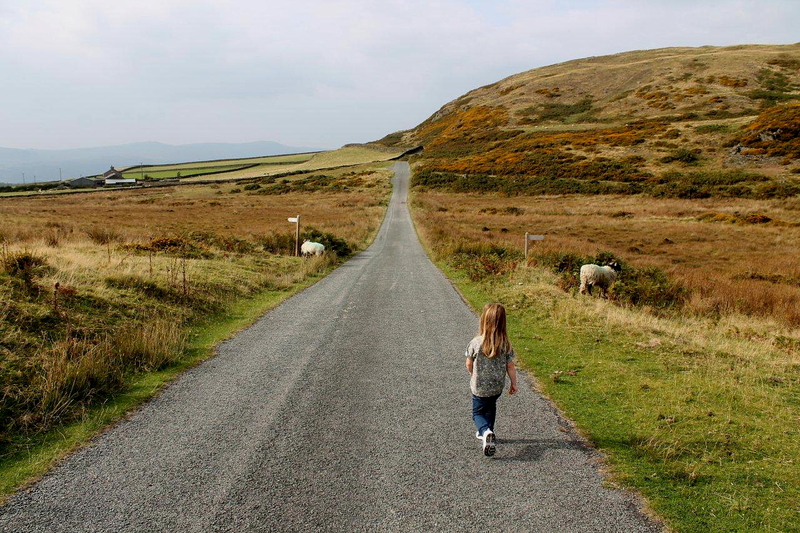 There is a great deal of enjoyment and satisfaction to be had in walking with grandchildren. Backpacking is the next step, perhaps. A few years away yet, though. I shall look forward to your TGO Challenge with grandchildren.